In Spring 2012, Alcest were honored to play a live session at the venerable BBC, Britain’s biggest radio station and promoter of the development of Rock music for decades. Recorded on February 27th, 2012 by the producer who already captured the BBC Sessions of Nirvana, Dead Can Dance, Slowdive and many other icons of alternative music, these live songs show the magic of a band that is also about to take their own place on the pantheon of Rock. 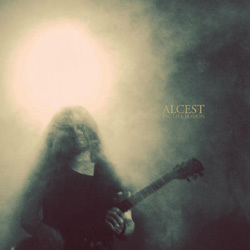 Alcest’s “BBC Live Session” will be released via Prophecy Productions on December 14th 2012. It is now available for pre-order in a limited vinyl edition with poster exclusively via Prophecy’s new online shop. Side A contains the three songs of the session, while side B is embellished with an etching.